'Manifold' by British artist Conrad Shawcross will be a bronze sculpture positioned outside the Moorgate entrance of the Elizabeth line station. Taking inspiration from musical harmony, Shawcross has used a machine based on the Victorian harmonograph – with its two pendulums that draw the oscillation of a sound wave – to map the complex shape of a specific piano chord that is falling into silence. 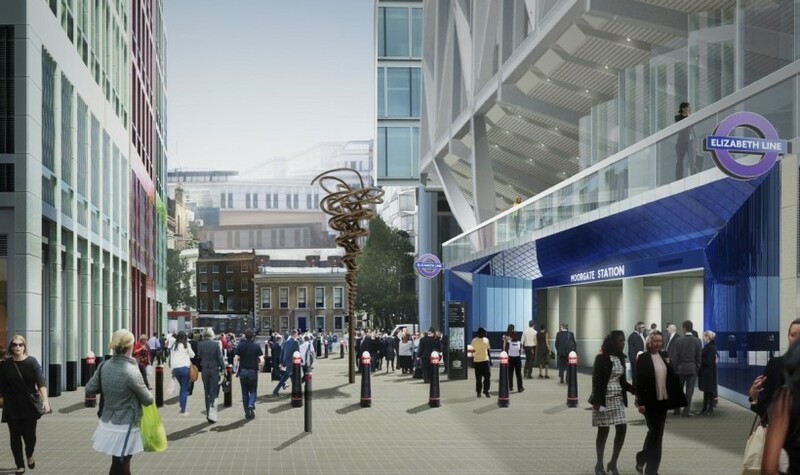 Encapsulating the dynamic visual potential of harmonics, the resulting ‘drawing’ will be sculpted in three dimensions using bronze to create a unique signpost at the entrance of the station.